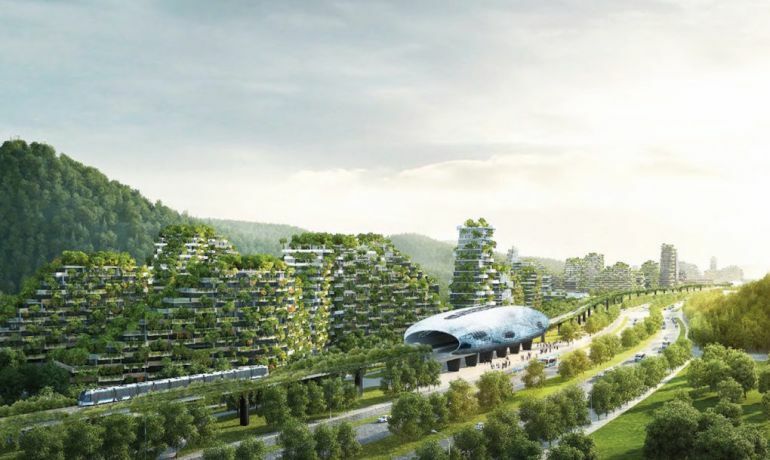 In the last few years, we have come across several futuristic city concepts that are based primarily on sustainability and self-sufficiency. The team at RAW-NYC Architects, for instance, is currently working to transform the micronation of Liberland into a verdant city-state that runs entirely on algae-derived energy. 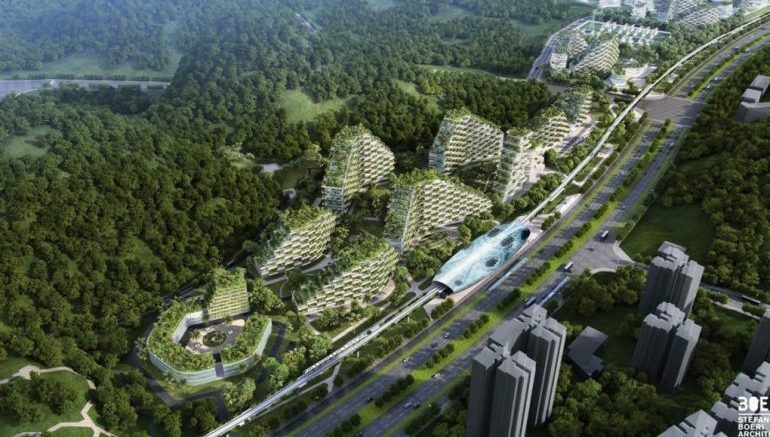 As part of a more recent project, Milan-based architect Stefano Boeri has undertaken the daunting task of constructing the world’s very first “Forest City” in the Liuzhou region of China’s Guangxi province. 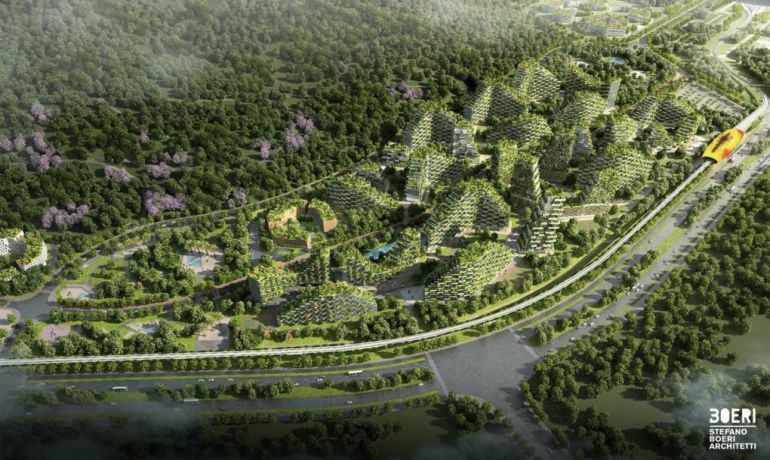 Powered sustainably using renewable energy, this innovative concept city will boast as many as 1 million plants of nearly 100 different species, in addition to 40,000 full-grown trees. This, according to the developers, will be enough to capture up to 10,000 tons of environmentally-damaging carbon dioxide as well as 57 tons of other pollutants every year. 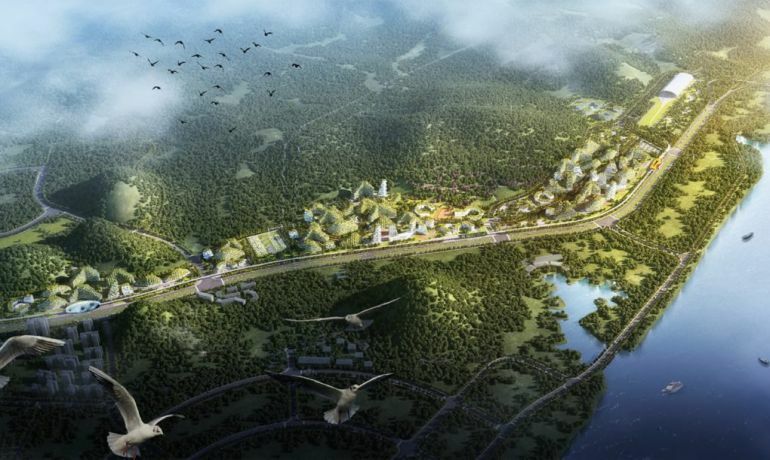 Recently approved by Liuzhou Municipality Urban Planning board, the proposal envisions a lush 175-hectare residential area situated just north of the actual city of Liuzhou, adjoining the Liujiang River. 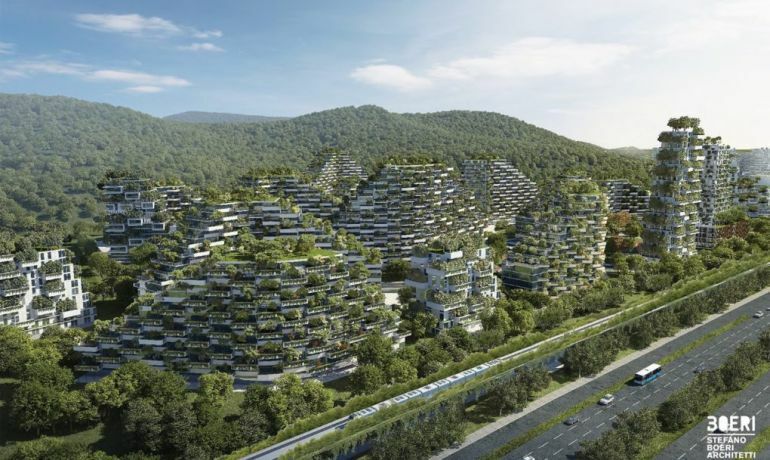 Scheduled to be ready by 2020, the world’s first forest city will house tree-covered buildings and residential towers that will in turn be able to accommodate over 30,000 people. Additionally, it will be populated by one hospital, two schools and a number of commercial, business and recreational spaces. To ensure easy transportation, a crisscross of roads and high-speed railway lines connecting the region to the neighboring Liuzhou city will be built. The diffusion of plants, not only in the parks and gardens or along the streets, but also over building facades, will allow the energy self-sufficient city to contribute to improve the air quality (absorbing both CO2 and fine dust of 57 tons per year), to decrease the average air temperature, to create noise barriers and to improve the biodiversity of living species, generating the habitat for birds, insects and small animals that inhabit the Liuzhou territory. 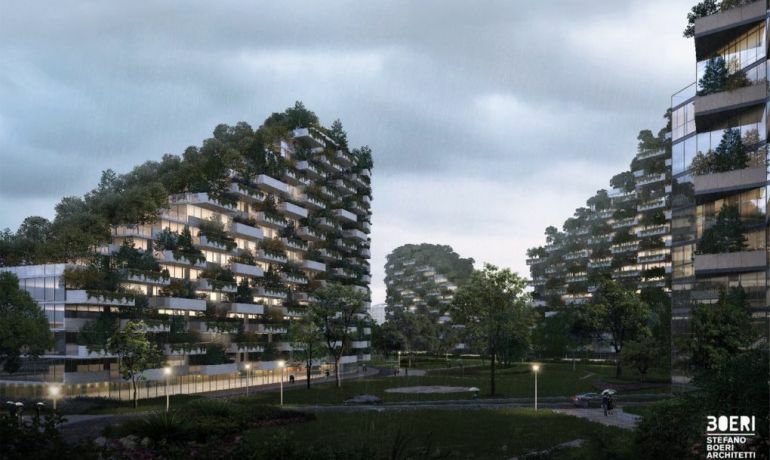 In the past, the folks at Stefano Boeir Architetti developed designs for two other verdant structures, including the 2014 International Highrise Award winner Bosco Verticale and China’s Mountain Forest Hotel concept. To learn more about the firm and its various projects, head over to its official website.